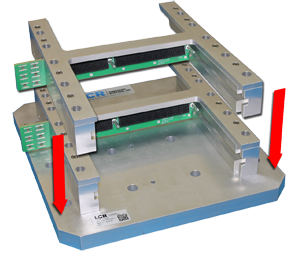 The VITA 48.2-compliant Stackable Single Slot Test Fixture can be used for development, validation, and environmental testing. 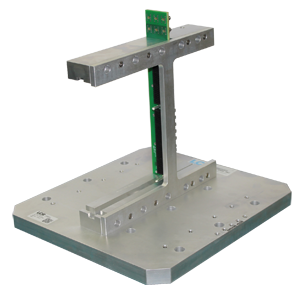 In the vertical configuration, the fixture can be used on the benchtop or desktop for development and validation. In the horizontal configuration, it can be used for operational/non-operational environmental testing. The fixture is compliant with VITA 46.0 (VPX base), with options for VITA 66 (optical interconnect) and VITA 67 (coax interconnect). Rear connectors for cables or RTMs are included, with optional support for VITA 46.10 RTMs.